I am accustomed to only washing my hair about once per week, but it has been very hot here. I've been sweating extra. It is even hot inside our travel trailer. This gave me the perfect opportunity (need) to try the Peppermint Cooling Moisture Spray. This stuff has a strong smell... of peppermint! 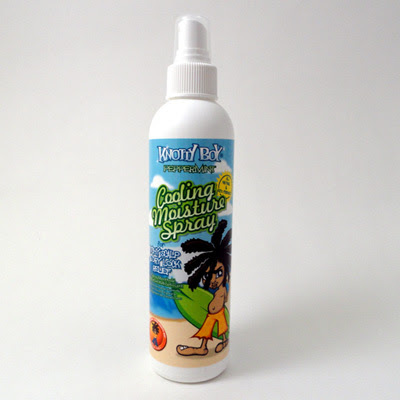 I suspected that the spray would tingle for a couple minutes, distracting you from the itch for a short time. However, this stuff actually relieves the itch! Still, it had been over a week since my first dread party and my head was just driving me bonkers! I finally caved. 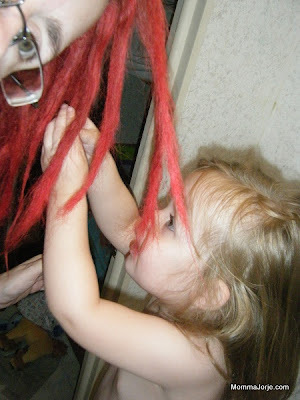 I didn't wait a week after the second dread party. Saturday was the day for me. I was a little nervous about my first shampoo. The shampoo smells really nice. It doesn't have a strong smell. The directions on the page suggest that some people like to use a corner of the bar to get at itchy spots. I found that using an edge of the bar felt great for scratching my head while I washed. 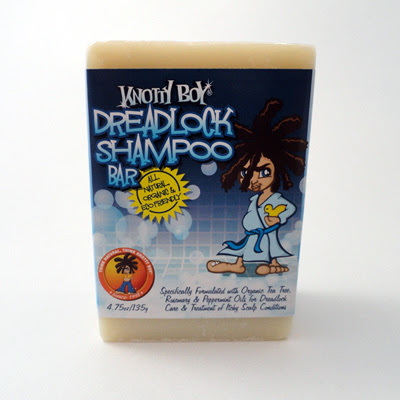 In case you're totally set on a liquid shampoo, Knotty Boy offers a Liquid Dread Shampoo as well. I know I've gone on and on about the wonderfulness that is Knotty Boy as well as their web site. Here is one thing I think could be improved: I like the Lock Growth Timeline for seeing what to expect. What I hadn't realized until later was that you can click on the pictures for early maintenance information! It isn't clearly stated, so I thought the site was lacking this information. I also thought it was cool to click on Day 1 to see the pre-dread photo! Knotty Boy does also offer a general maintenance tutorial that includes details on how to wash, palm roll, wax, etc. It has a lot of important tips to keep in mind, too. So far, care of these 64 babies has been easier than expected. I've been wondering about the upkeep & how you like those babies. Knotty Boy is a hilarious product name! Love it! I am loving them! The upkeep can be a little tough at times because it is hard to reach all of them for palm rolling. It can also get tiring to do it over your head. I know some people have someone help them. So far... just Sasha and she only rolls one or two (and I'm sure she's not pressing hard enough). It's been so fun to see your progress! Sam used Knotty Boy, too. Glad it's working well for you.